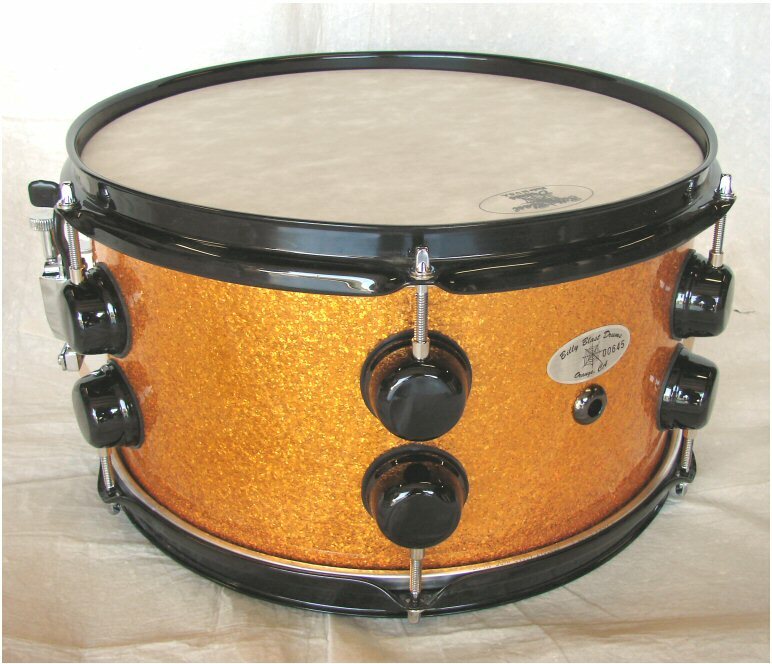 This beautiful 13”x6” 8 ply VSS Keller Maple Shell Snare drum, has a high gloss Gold Sparkle Finish with heavy duty Powder Coated hardware 2.3mm hoops, heavy duty snare throw-off, 16 strand snare. The bottom head is a Evans Hazy snare side 300 and is 3mils thick, has a wide dynamic range that will focus the sound of the snare. The top batter head is a FiberSkyn Drum Head. It gives you that unique deep and dark sound and will hold up to you heavy hitters. "This is One of Billy’s favorites” You can bet this one will turn heads.